Vlka Fenryka – Silently slaving away, expecting results sooner than later. Through out the project my ability to focus worthy of Ultramar, has taken a Fenrysyan twist as I have moved between different units, building and painting like a force of nature. I haven’t worried about that as the production has been so steady. After moving to the new house my hunger to finally start playing the game, combined with a smaller garage, where getting to the airbrush means clearing some room until we are fully organized has meant things have stacked up a little bit, but soon I should have quite the menu to share. What I have been working on and when ready? 4 thunder wolves nearly ready, need a coat of my magic matte protection (Johnson Klear & Tamiya flat) and then an evening with the metallics. Really happy where these unit is with the Lord. 5 massive Wolves, yeah a unique color, yet austere and desaturated for a very united look. Hoping to have pictures by the end of the week. 3 Drop Pods, all the greys Airbrushed, warning chevrons (finally!!) , masked and airbrushed, just need a session of rusty browns on the inside and I can get to brush work. The dreadnought was great practice for weathering. 3 count as Centurions, being built from Myrmidons, Centurion arms and guns and the new Skitari gubbins urgently wait for assembly as my list is then built and ready for test games. a dozen or so Thralls, Kaerls, and other beasts, with the Iron Priest (count as forge father to lead the centurions) primed and ready to receive primary colors with the airbrush, hopefully in the same session with the wolves matte coat, or when the Centurions are primed. NEW TERRAIN. I have painted two forge world squares and 4 out of 6 of my old realm of battle boar to a mix of warm, rusty browns, earthy tones and cold greys and stone – to hopefully provide the perfect balance of contrast to my rather dull grey,black,red army, but till a nice offset from their basing. This is just waiting for the army to be ready so I can shoot them on top of these. So yes, hang in there, madness awaits. I’ve heard amazing reports from the absolutely incredibly new Warhammer World facilities soon to be released to the world. 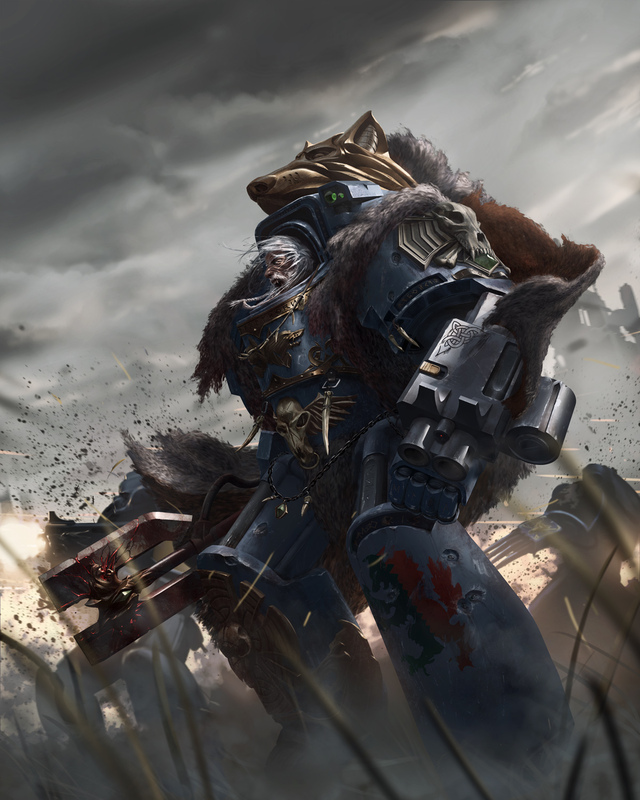 I am most excited abut the release of Lord of Ultramar aligned to the event and intend to paint him with a converted citizen of Ultramar for a special little project breather from grey. I’m also incredibly excited about Mikko’s Ork project. I’ve always wanted to do something similar and could not think of a more fitting modeler/painter to properly art scale the green fever. Sounds like a busy schedule alright… I have found the best method to get things built and painted is to work on whatever you currently feel working on, allowing yourself some detours and indulgences. It’s supposed to be fun, after all. I agree with Jimmy there. Doesn’t feel like a chore that way. But I must admit I’m very excited to see the coming updates! Get hot, you lazy sack.